KATHMANDU, Nov 26: Kathmandu Metropolitan City (KMC) has not yet readied an alternative site for dumping its waste for a few months when it will be left without a landfill site. The Sisdole landfill which has been serving as the only site for the three major metropolises in the Kathmandu Valley to dispose of their waste for the last 12 years has almost reached its maximum capacity. Initially, the site had been opened only as a temporary solution. The Banchare Danda landfill site which was originally proposed as permanent place to dump the Valley’s waste 12 years ago will still take months to be ready, according to officials. Meanwhile, KMC will be left without a dumping site for months. According to KMC officials, even though the Sisdole landfill site is nearing its capacity, KMC has not yet searched for any alternative for until the Banchare Danda landfill is ready. 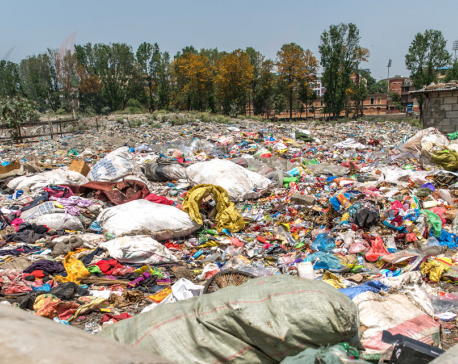 “It is only a matter of weeks before the landfill site will become full,” KMC spokesman Gyanendra Karki said, adding, “But we have not yet found an alternate site.” He added that it will take around six months for the Banchare Danda site to be ready. The Ministry of Urban Development is to develop the Banchare Danda landfill and the Department of Roads (DoR) has been asked to build the road to the site. 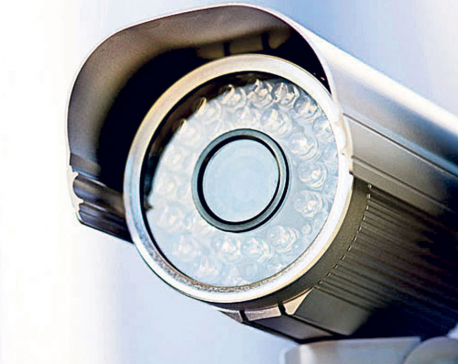 However, the Council of Ministers has yet to approve the plan and the necessary funds. On top of that, about 600 ropani [30.52 hectares] of land is yet to be acquired for the construction to start and the committee for the determination of compensation for the acquisition of the land has yet to be formed. According to the chief of Environment Division of KMC, Hari Shrestha, the DoR has already allocated Rs 225 million for the road. “The DoR is all set to publish the tender notice in a week,” he said, adding, “We are expecting that the road will be completed by winter.” He added that the construction of the remaining infrastructures will not take long.